Rosy Outlook: My Favorite Pinterest Crockpot Recipes! 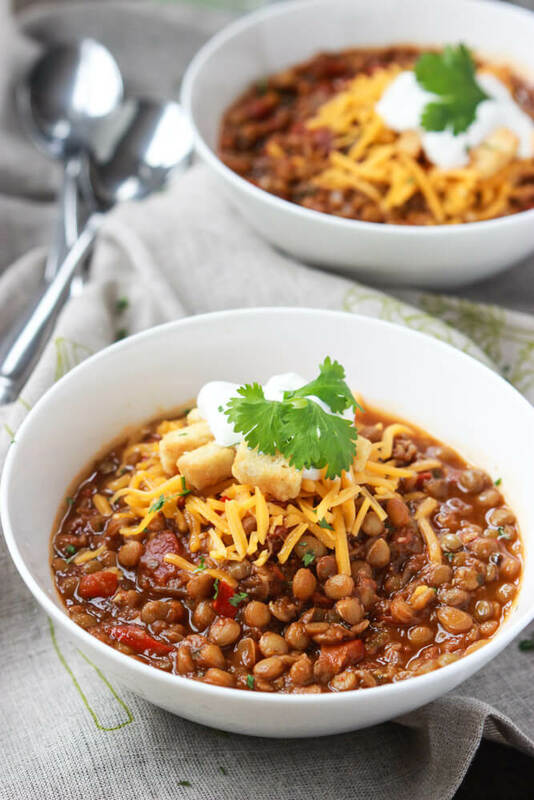 My Favorite Pinterest Crockpot Recipes! Happy Monday friends! Who else is majorly struggling this morning? I had a really fun weekend because a few of my friends were in Boston so Saturday we went out for drinks and caught up which was such a blast. Sunday, Steven headed out of town but he'll be back tonight so I honestly didn't do a ton. Just cleaned up the apartment and relaxed! Almost every weekend Steven and I will make something in the crockpot so that we have lunch for the rest of the week. It's the perfect routine for our busy schedules and honestly saves us so much money because we're never really eating out for lunch! I have made up a few of my own recipes but for the most part I try to find something on Pinterest the week before then stock up on all of the ingredients to make the recipe on Sundays. After trying out SO many different recipes, I thought I'd share my top 5 that we've made and really enjoyed! #1 Kristine's Kitchen Slow Cooker Taco Pasta! This one has been our absolute favorite so far. It had so much flavor and a bowl of this keeps you extremely full! I also love how inexpensive the whole recipe is. Steven would probably disagree with having this one in the top 5 just because he's not a fan of meatless meals haha. I LOVE them and I also loved this recipe! Lentils are so yummy and filling and are a great source of plant protein. This recipe had a ton of flavor and is very heart. 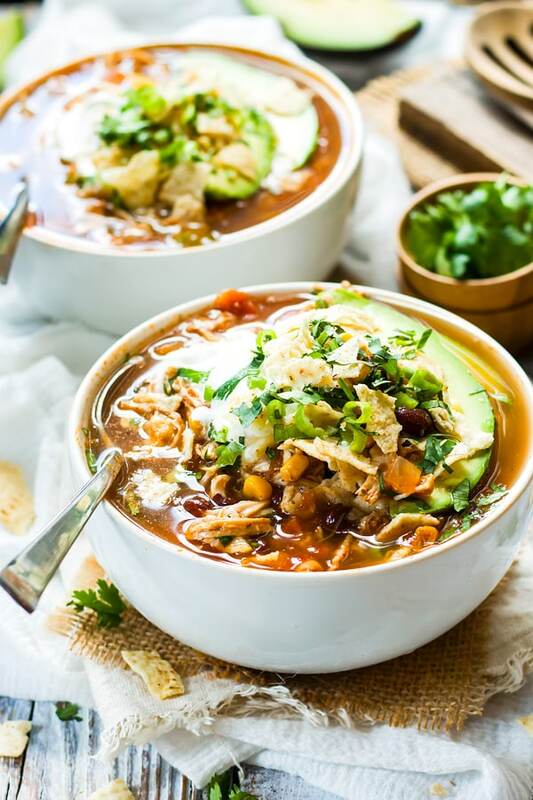 We've tried a few variations of chicken tortilla soup and this one was definitely my favorite! Definitely had the most flavor. I think with chicken tortilla soup it's also all about the toppings you add. This one was delicious with cilantro, avocado, tortilla or taco chips and a little bit of sour cream! I'm sort of weird because I'm not a big pork fan at ALL but I LOVE pork carnitas! 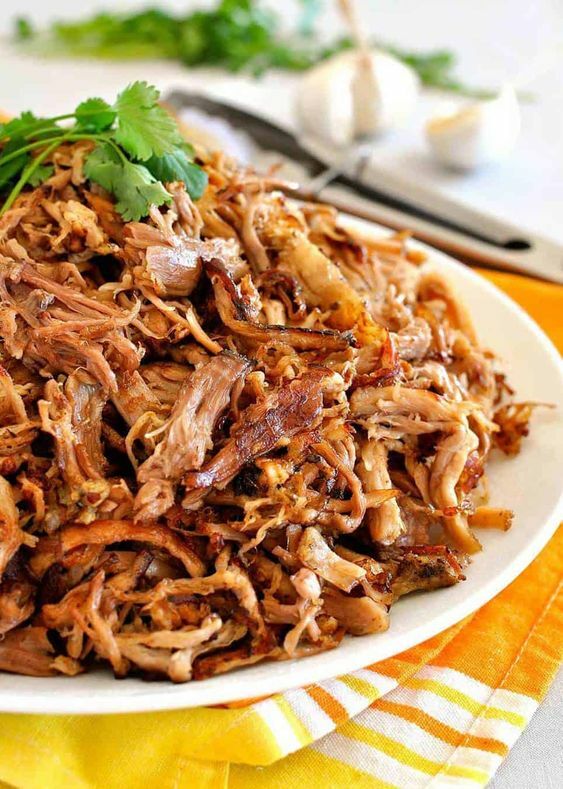 This is a great, easy recipe and we typically will pack up the carnitas for lunch along with corn tortillas, a little bit of salsa and avocado. Such a delicious and protein-packed lunch! This one is probably the easiest and also has the cheapest ingredients! It's super yummy and heart especially during colder months. One thing I would suggest is adding a little bit more salt/pepper and also garlic powder for more flavor. I found it to be sort of bland until I added more! Hope you enjoyed this post! Would love to hear some of your favorite crockpot recipes in the comments below. Oh I am all about the crockpot. These look great, especially the carnitas. Oh thanks for the recipes! I do at least one crockpot meal a week! Wow these all looks delicious. Um yes, gimme all the yummy crockpot meals! SO easy to make on the weekend and then heat up during the week! What a fun post! Thank you so much for sharing! These look wonderful and I'm always needing a new dinner idea! These are really hearty recipes! Thanks for sharing dear!